Come and enjoy an experience or adventure of your choice…in the beautiful and majestic Rocky and Purcell Mountain Ranges. See spectacular mountains and captivating wildlife. 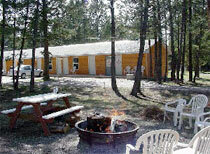 Enjoy natural Hot Springs and good fishing for the whole family. Springbrook is an all Season destination. Leave the pressures of the every day work world, slip away to our peace and quiet. We are truly a vacation destination worth exploring. Springbrook Resort offers friendly, professional service. We are able to assist you in planning all season getaways, family reunions or group get-togethers. Todd & Jay Manton have opened a brand new six-line course at Fairmont Hot Springs Resort called Mineral Mountain Ziplines. 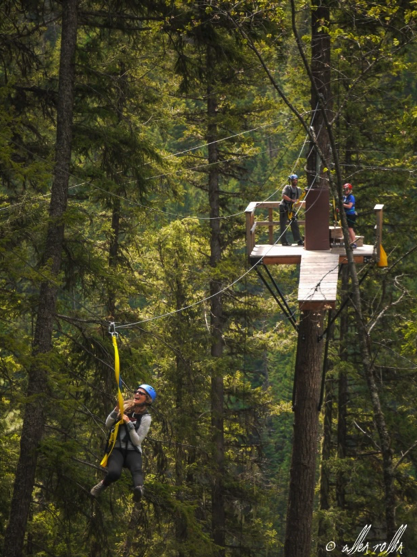 Prepare to take flight, as you glide effortlessly through forest canopies, across Fairmont Creek and take in views of the surrounding Hoodoos, Columbia Lake, Rocky Mountains and more! Springbrook Resort is located at the valley bottom with the Kootenay River on one side and Springbrook Creek on the other. With natural wildflowers growing on the property from yellow orchids to purple and white phlox, mauve crocuses, white daisies, pink roses, purple shooting stars and bear grass. Marnie finds an early morning walk with coffee an easy way to start the day. 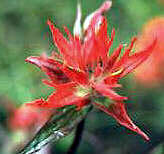 The Rocky Mountain Naturalists have put together a Wildflower checklist (over 100 of the common species of wildflowers and shrubs in our area), and Birds of Southeastern British Columbia (over 140). These lists are available if you would like to test your knowledge. Arrive early evening to the cozy comfort of a kitchenette motel unit. Sleep late or up early, the four to five hour float on the Kootenay River can be done to fit your schedule. Complete the evening by sitting around the campfire, enjoying the company of other guests. The next day a dip in one of the Natural Hot Springs, more canoeing, site seeing, or just a day in the sun. *please note we do not supply the canoe, please bring your own. In a short drive one can go from Valley bottom to Mountain top with an abundance of wildlife viewing. The photographic opportunities are unlimited. Arrive late afternoon to the cozy comfort of a motel kitchenette unit. A stroll around Springbrook, to visit with our family of bunnies, or just early evening sitting in the sun. campfireSleep late or up early, breakfast in or use the restaurant across the street. When you’re ready, pack the camera, an individualized lunch, swim suit, and warm cover-up, and off you go with map in hand. Your circle tour will take you through two provincial parks past two natural hot springs. Unlimited chances at wildlife viewing. All terrain vehicle suggested on gravel roads with rough sections. After a day of exploring cook a fine dinner on the campfire or BBQ with a bottle of red or white and complete the evening sitting around the campfire, enjoying the company of other guests. Next day we recommend a hike, a leisurely walk, or stay around Springbrook. The mix of terrain allows skiers of varying abilities to spend the day riding the lifts together and then tackle runs suited to their individual skill level. Cross country Skiing is available. From winter camping to motel units, or a luxury Cabin on the Kootenay River, Springbrook Resort can arrange your lift tickets and make your stay more enjoyable. South eastern British Columbia has some of the country’s best quality rainbow trout fly fishing. The Kootenays’ fishing resources are just being discovered, away from the crowds. The Kootenay’s also possess an exceptional variety of fishing environments within a compact area, allowing fishermen to combine several distinct angling experiences into a short period of time. In the BC Rockies, spring snow melt prevents good river fishing before July 1, but exceptional lake fly fishing from April through June. Premier Lake… May to July…20 minutes east, with water crystal clear to 30 ft and rainbows, a fly fisherman’s paradise. From 10 minutes south to 50 minutes north, Springbrook Resort is centre to many other smaller lakes. As the lake fly fishing slows due to warming water and the spring runoff subsides, time to focus on river fly fishing, from July 1 through October. Toby Creek… July to September … for Cutthroat, Whitefish and Dolly Varden. Bull River…July to October … Cutthroat and Dolly Varden. St. Mary’s River…July to October. 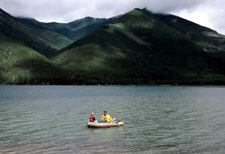 While the Kootenays’ climate is mild by BC Rockies standards, stormy weather can occur during the fishing season. Angler should pack the following…good quality rain gear…wading boots…cold weather clothing…sunglasses (polarized), sunscreen … for lake fishing #5 to #8 weight fly rod … #3 to #8 weight rods for river fishing .. .floating and sinking fly lines. and purchase your license before you come. 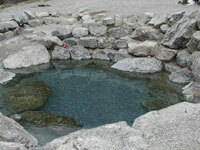 A wilderness hot springs, in the natural setting of BC Parks. 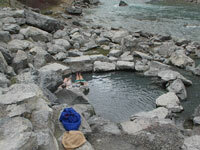 Lussier Hot Springs consists of three pools alongside the Lussier River. Unimaginable pleasure awaits you at this Natural Hot Springs. BC Parks has maintained the walking path down to the pools. This path is wheel chair friendly, but can be extremely slippery in the winter. There is one small change house at the top, then a 5 minute walk down to the pools. There are three pools framed in rock, with gravel bottoms. In the first pool, the hot water pours in at about 110 degrees, filters down to the next pool cooling as it goes, The third pool is the coolest at about 94 degrees, and closest to the Lussier River 10 feet away. As the Hot Springs are located in a Provincial Park, No Alcohol and Proper attire is required. Please note that due to the remoteness of the pools, or the mutual agreement of those present, you may come across unclad bathers. Lussier Hot Springs, a 30 minute drive north of Skookumchuck is open year around. In the winter, there may be snow on the road, and more often very slipper conditions; all terrain vehicles should be used. Relax in the tubs knowing that there is an historical precedent for soaking here. In Ktunaxa Kinbasket Indian jargon, the name Skookumchuck means “meeting of good waters.” Obviously, the Indians knew a good thing. 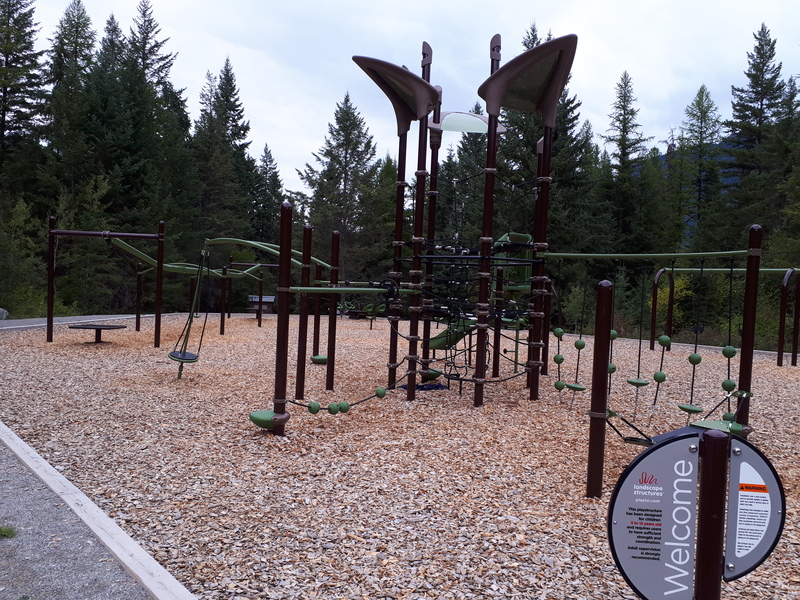 Directions: The starting point for this springs, is the entrance road for Whiteswan Provincial Park, on Highway 93/95, located 22 km north of Skookumchuck (8 km south of Canal Flats). This is about 3 ½ hours south of Calgary or north of Spokane. Leaving Highway 93/95 drive 17 km (10miles) on a windy gravel road watching for large trucks hauling, park your vehicle and walk down the trail to the pools. Services: Whiteswan Provincial Park, non-service camping is further up the gravel road Open May to October. The closest serviced campground and RV Park Open year Round is Springbrook Resort Motel Campground Cabins located at Skookumchuck. There are no accommodations in Canal Flats. Skookumchuck also has a restaurant /gas station / post office /stores. For larger groceries and liquor outlet Canal Flats. For major shopping and services north to Invermere or south to Cranbrook (about 100km 60 miles). South of Lussier on Ram Creek Forest Service Road. (In Skookumchuk watch for signs to Premier Lake. Head up Premier Lake Road and after driving 8 km you will pass a turnoff to Premier Lake. Continue traveling straight, now on a gravel road with the Sheep Creek Road North sign. Following the main road for approximately 12 km, the road curves right and up the hill; there is room to park on the left hand side. You’ll see hot springs trickling towards the road and you’ll see a path up a slope to the springs, which are in an ecological reserve. Rough access road, poorly maintained! All terrain vehicle recommended, winter access by snowmobile or cross country skis). 2 pools (hot/warm) with cooler average temperature of only 37°C (99°F).